Not only is today’s feature one of the greatest romantic comedies in movie history, not only did it win the Oscar for both Best Director and Best Picture, it was adapted from a play that also won the Pulitzer. You’ll really want to DVR this one, not just watch it live, because you will want to watch it again and again! 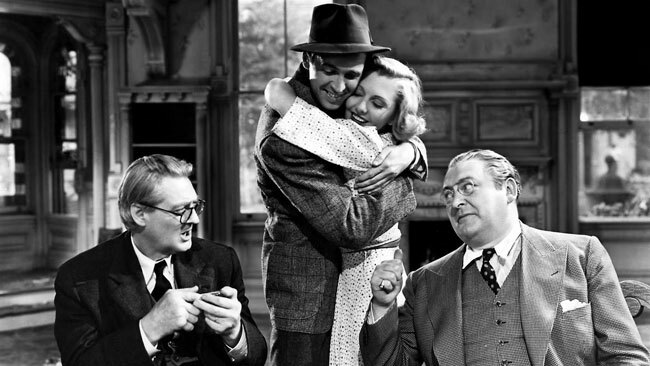 Alice Sycamore (Jean Arthur) and Tony Kirby (James Stewart) are a classic love story couple. He’s the vice president of the local bank, she’s his secretary, and they fell in love across a desk. Finally, Tony asks Alice to marry him, and she says yes. And then their troubles begin. Alice is the conventional stalwart in a very UNconventional family. In fact, Alice is (as far as we can tell) the main source of support for her expansive family and their “strays” they’ve collected over the years. The head of this brood is Grandpa (Lionel Barrymore). He used to be a big, successful businessman, until one day he just…stopped. Stopped going to work, stopped pressuring himself and stopped doing anything that didn’t make him happy. And he’s spread the message of happy go-lucky living as far as he can. So while the rest of the family spends their days painting, dancing, making candy, making fireworks and bringing other people into the house to adapt to their lifestyle, Alice goes to work and pays the bills. But she’s happy, and according to Grandpa, that’s what’s most important. So naturally, the whole family is thrilled to hear that Alice will be even more happy by marrying the love of her life. Tony’s family…is less thrilled. They are, without a doubt, the very upper of the upper crust. A family that’s been in banking for multiple generations and felt no whiff of the Depression, facing the possibility of a middle-class secretary as a daughter-in-law is galling. However, to humor Tony until they can figure out how to separate the two, they agree to meet the prospective in-laws and try to find common ground. Oh, and it just so happens that Mr. Kirby’s bank has been aggressively trying to buy Grandpa’s house (think “Up”), although it’s through a shell company and no one realizes this at first. As the relationship progresses, Tony’s parents become more open about their disapproval of Alice. Tony insists it doesn’t matter, but Alice becomes resentful that Tony’s parents see her family as inferior. Tony loves his family and won’t abandon them any more than Alice would abandon hers. But when one mishap after another lands the whole bunch in jail, will Alice forgive Tony? Words cannot describe how much I love this movie. Jimmy Stewart is at his most charming, and Jean Arthur is my favorite of his co-stars. She’s cute and spunky and always ready to take on whatever comes. 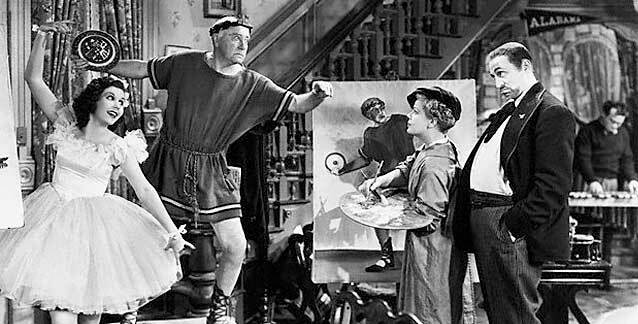 And Lionel Barrymore is the perfect Grandpa. He takes walks through the park, gives presents generously and has a habit of inviting random people home for dinner. Most of the country was still recovering from the Depression at this time, so I imagine seeing a happy, generous, carefree low-income family was a comforting sight. It’s also one of the funniest movies I’ve ever seen. The best part is when an IRS agent comes to the house to try and collect back taxes from Grandpa during the years he was unemployed. It’s a conversation not to be missed. The supporting cast is fabulous, of course. One of my favorites, Ann Miller, got her big start from this movie. She plays Alice’s younger sister. In the movie she’s supposed to be about 20. In real life, she told the studio she was 17. In fact, at the time she was probably closer to 15 (although as she aged in real life, her age in the story gets younger and younger…probably because a person can only lie about being 65 for so many years before people start doing the math). Regardless, she was ridiculously younger than the actor her character is supposed to be married to, but it works. 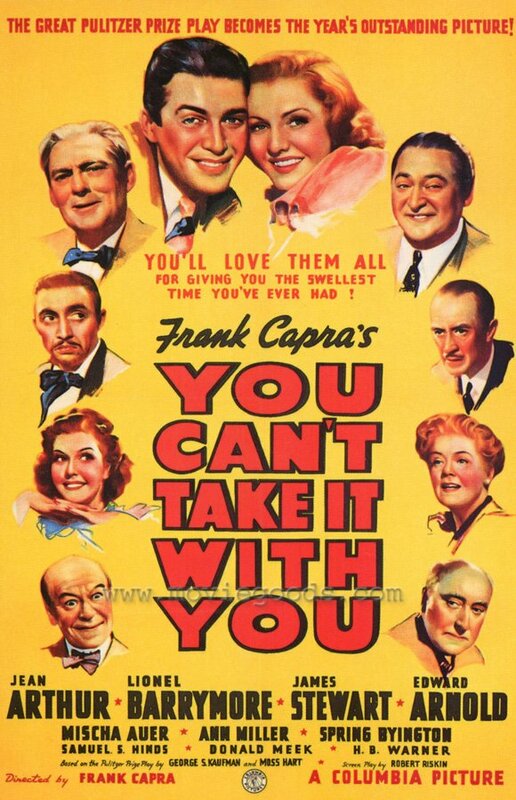 You Can’t Take It With You will be on TCM on Friday, February 22, at 12:15 pm CST. My sister played Alice in her high school production of this. :) It made me love the movie that much more. You left "The Wonderful World of the Brothers Grimm" off of your movie list for this week!!! 2/20 on TCM!!! !